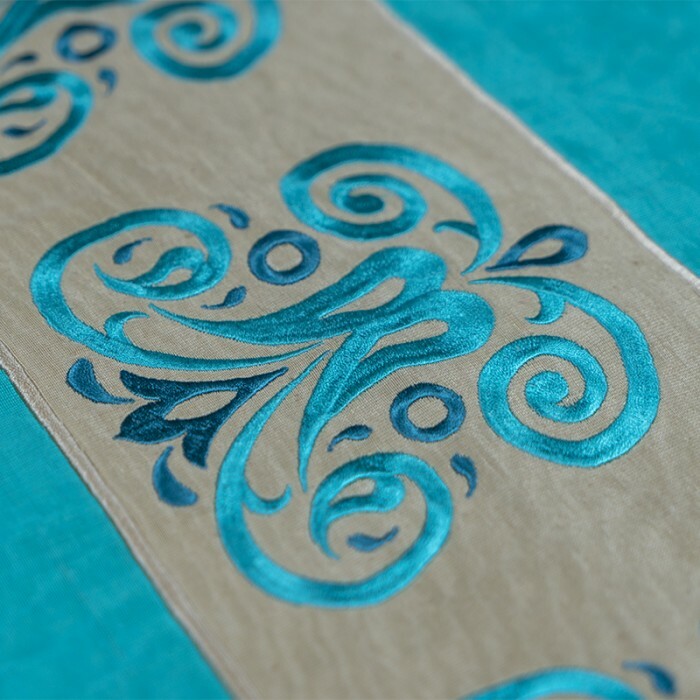 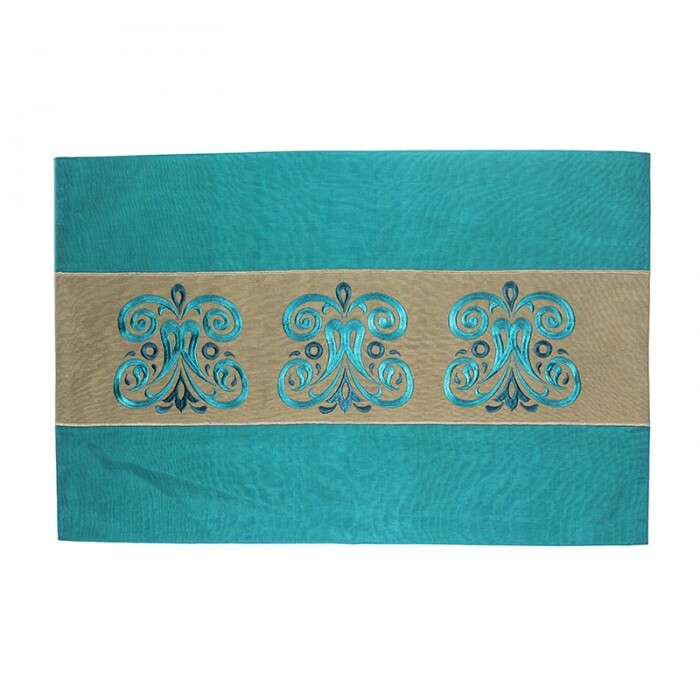 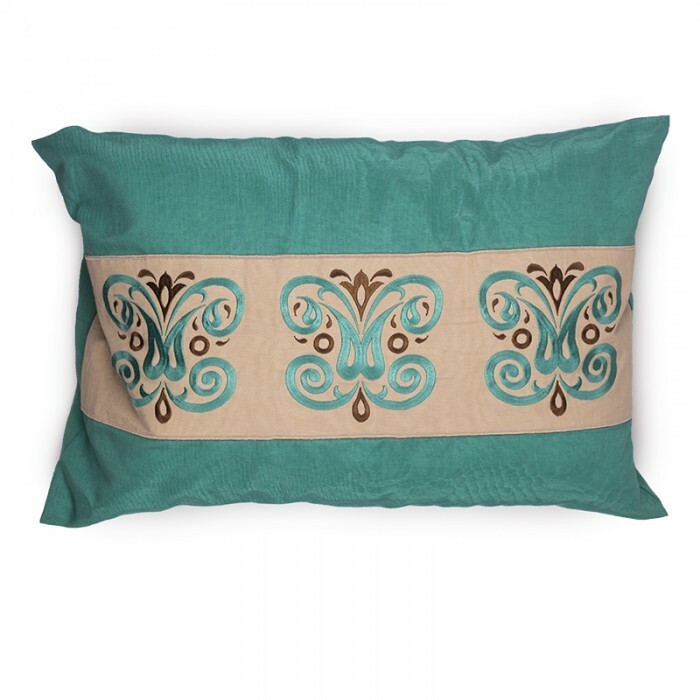 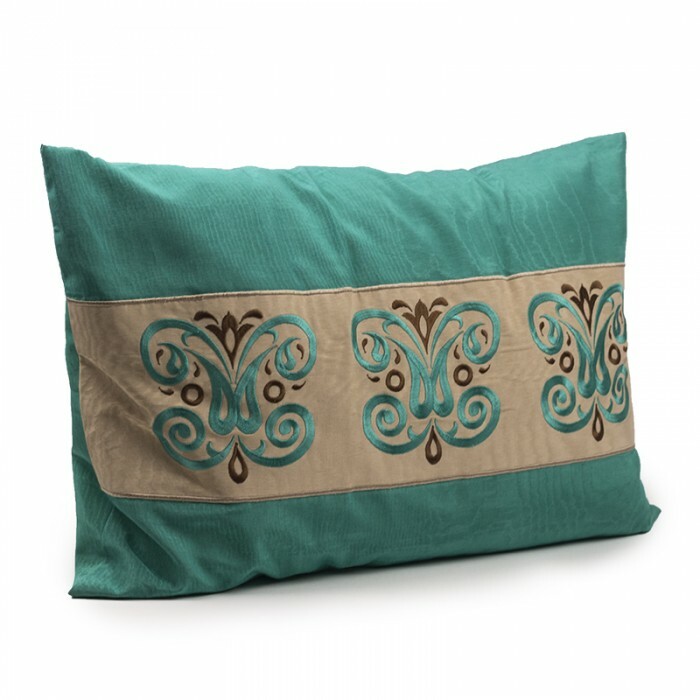 A rectangular-shaped classic design flaunting a bold decoration of traditional embroidery in the middle. 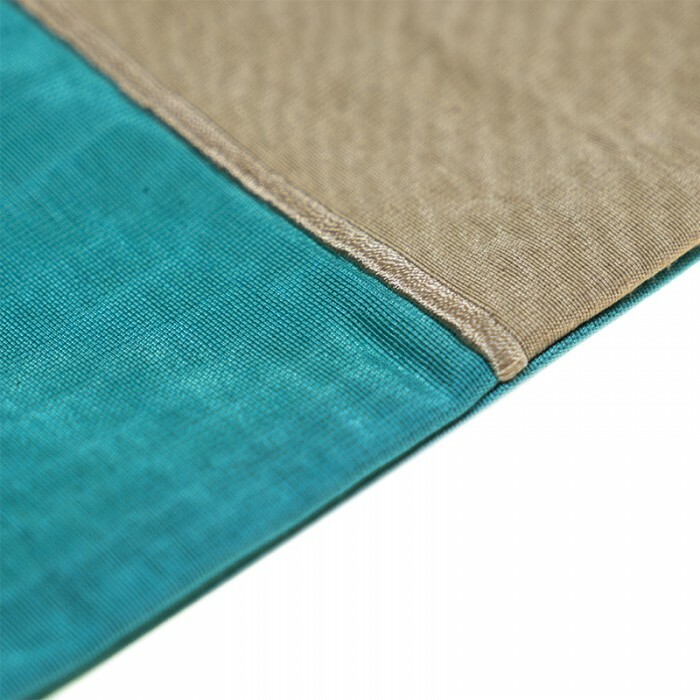 Highly durable and dry clean friendly. A classic design infused with embroidery to accommodate a stylish living room.